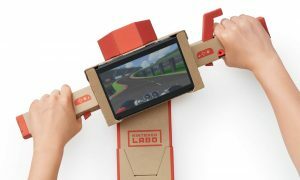 Nintendo Labo is a gaming and construction toy platform that can be used as an extension to the Nintendo Switch video game console (sold separately). 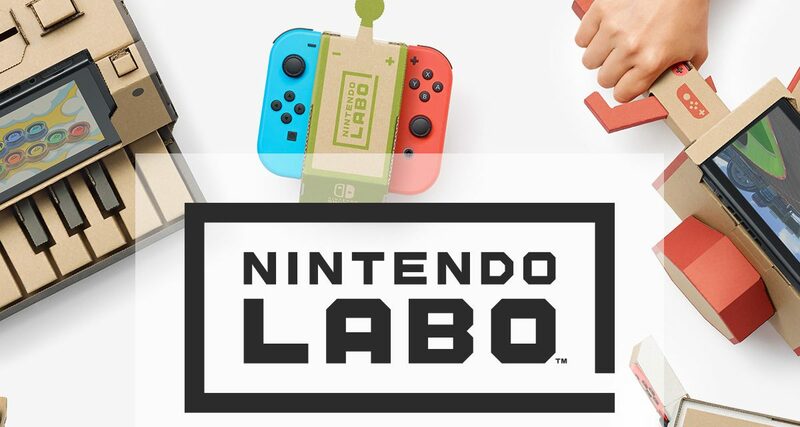 Nintendo Labo is comprised of kits that include cardboard cut-outs and other materials that can be assembled in combinations with the Nintendo Switch console display and Joy-Con controllers to create a”Toy-Con”. Toy- Cons interact with the game software and vice versa. Nintendo Labo was designed to teach the principles of engineering, physics, and basic programming. Recommended for ages: 6+ This is also a great product to build together with older siblings and with parental assistance. The Variety Kit includes 5 different Toy Cons. Toy-Cons are cardboard creations used to interact with the Nintendo Labo software. With each Nintendo Labo kit, you can transform modular sheets of cardboard – specially designed to interact with Nintendo Switch and Joy-Con controllers – into interactive 3D creations. Toy-Con RC Car– use your Nintendo Switch touch screen to control your own Toy-Con RC Car. Powered by vibrations in the Joy-Con controllers and can even follow a path of magnetic tape by using the IR motion camera in the right Joy-Con controller. Toy-Con House – Play with a mysterious little pet in this custom home. You can earn treats for your pet by playing mini-games, then you can touch the screen to feed these treats to your pet to see it change its color or pattern. Toy-Con Motorbike – Rev your engine and go racing on a Motorbike. You can rev the throttle by twisting the right handle. This is literally a product where you start with pieces of cardboard and build different projects. This is a great product to introduce engineering, physics, and basic programming concepts. The game software provides instructions on how the Toy-Con works with the Switch. Toy Cons should take around 20 mins to construct but varies based on the complexity of the project and the skill of the builder. This is a fun product for the entire family.